​Borussia Dortmund midfielder Julien Weigl will be allowed the club this summer, with Tottenham and Paris Saint-Germain previously expressing an interest. The 23-year-old has been at the Signal Iduna Park since 2015, previously being an integral part of the squad during that four year spell. However, he has only made 11 Bundesliga appearances this season, and reports in France (via Le1​0S​port, claim that Dortmund will now sanction a departure from the club, with Paris Saint-Germain leading the race to snap him up. 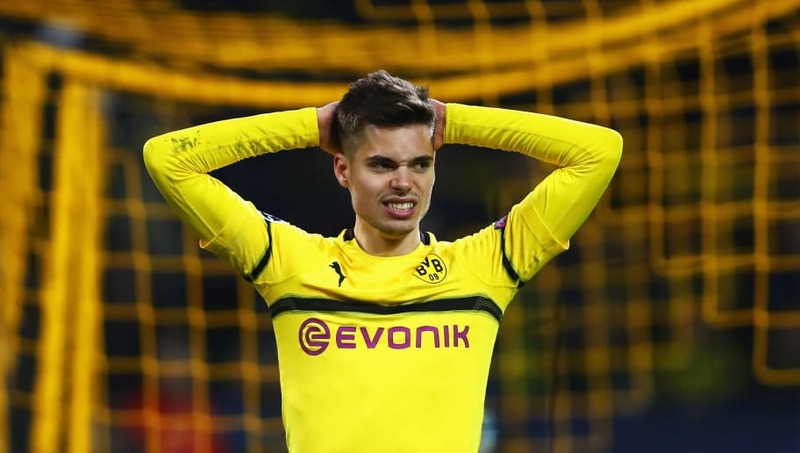 Weigl still has two years left on his Dortmund contract, but he has found first team opportunities limited this season under Lucien Favre, and it's claimed that BVB will now be willing to part company with the German midfielder if they receive an offer around €25m. Tottenham's chances of signing the midfielder will more than likely depend on whether or not they are playing Champions League football next season, but manager Mauricio Pochettino will be keen to find a replacement for the seemingly out of favour Victor Wanyama. A switch to Ligue 1 leaders PSG, however, would see Weigl reunited with former Dortmund boss Thomas Tuchel, providing he keeps his job in the French capital after another underwhelming Champions League campaign for the Parisians. With Weigl not in Favre's plans, Manchester City may also be interested in the player, with Pep Guardiola reportedly willing to spare no expense to find a long-term replacement for 33-year-old Fernandinho. Weigl is understood to be keen on playing regularly in order to improve his international credentials, so a move to any of those interested parties will likely appeal - providing he becomes a regular fixture in the side.